1.1. The Immigration Law Practitioners’ Association (ILPA) drafted the following report as a joint commentary by experienced immigration practitioners on the EU Settlement Scheme. We hope this expertise assists in the development of the scheme and to achieve its intended purpose of safeguarding the rights of EU citizens living in the UK by 31 December 2020 (“the specified date”) and their family members in accordance with the agreement between the UK and the EU. This report will frequently (at least quarterly) be reviewed and updated in line with policy changes. Statement of changes to the Immigration Rules: HC1534, 11 October 2018 (“SOC HC1534”). 1.3. Unless otherwise stated, the report is based on the assumption that the UK and the EU will agree a “deal” such that the Draft Withdrawal Agreement (in particular Part Two on citizens’ rights) comes into force. The considerable uncertainty surrounding a “no deal” scenario means that it is not possible to address that scenario in this submission. 2.1. We welcome the approach of Appendix EU that definitions are set out in a separate Annex. While it requires some cross-referring it assists the reader to navigate the Rules. However, some of the definitions are unnecessarily complex and the degree of cross-referencing required is likely to make the Appendix difficult to use even for experienced practitioners. We recommend decreasing the number of definitions where possible. For example, instead of defining the “required application process” as “the relevant online application form” the Rules should simply refer to the “the relevant online application form”. Furthermore, any lists of supporting evidence (e.g. “required evidence of family relationship” or “required proof of identity and nationality”) should be removed from the definitions in Annex 1. 2.2. It is currently unclear where the required evidence which must be supplied in support of an application is set out. As set out above, some evidential requirements for an application can be found in Annex 1 but it appears that this is likely to be supplemented by guidance. We note that any mandatory requirement for specified types of evidence should be laid before Parliament in the Rules rather than included in associated guidance (see Alvi v SSHD  1 WLR 2208 and Munir v SSHD  1 WLR 2192). We additionally welcome the indication in the SOI that the Home Office will work flexibly with applicants to help them provide supporting evidence and this should be reflected in the requirements of the Rules. 2.3. It is important that applicants are fully informed of their rights and obligations to avoid falling short of meeting the requirements of Appendix EU. Appendix EU is drafted in such a way that it is very difficult for non-lawyers to understand. We appreciate that the Home Office does not “generally expect that applicants will need to consult the Immigration Rules for the scheme, but will be guided by the online application process itself and by supporting user-friendly guidance which will be available on gov.uk” (Annex B of the SOI). In our view, the guidance is currently not comprehensive and leaves out references to important parts of the scheme. For example, the gov.uk website makes insufficient reference to the suitability grounds set out at Rules EU15 and EU16. Applicants therefore are at risk of failing to meet the requirements of Appendix EU because the guidance documentation, which the Home Office expects to be the single reference point for applicants, is deficient. If the Home Office plans that applicants solely refer to the guidance documents when preparing their application, such documents must be easily accessible, understandable and most importantly, comprehensive. We urge both that the layout of the Rules is made more easily accessible (e.g. by setting out the applicable requirements by type of applicant) and that the guidance to applicants set out on the gov.uk website is amended for accuracy and completeness. A comprehensive application framework which is easy to understand and access is likely to have significantly lower costs both to the Home Office and to applicants. We note that it has been indicated in the SOI that provisions will be made for these groups in due course (paragraphs 1.22, 6.10, 6.11 SOI). Given the uncertainty of their future status, we urge that provisions be made for these groups as a matter of priority. 3.2. The citizens’ rights part of the Draft Withdrawal Agreement only protects those whose right of residence is governed by Directive 2004/38. Those whose residence rights are derived directly from the TFEU (e.g. Zambrano carers) will not be protected by the Draft Withdrawal Agreement. We urge that the Government implements its promise to provide for them elsewhere within the Immigration Rules (paragraph 6.12 SOI) in due course. Many of those currently residing in the UK on that basis will be unable to meet the more restrictive requirements of Appendix FM “Family life as a parent of a child in the UK”. 3.3. The CJEU recently confirmed in C‑89/17 Banger v UK that the Surinder Singh provisions extend to unmarried partners of qualifying British citizens. Appendix EU does not currently reflect this position and will need to be amended in line with this. 3.4. The definition of “marriage/civil partnership/durable partnership of convenience” in Appendix EU does not currently reflect established ECJ case law on what constitutes an abuse of Treaty rights. The case law requires both (i) objective circumstances in which the purpose of Community rules has not been achieved, and (ii) the subjective intention to obtain an advantage from Community rules by artificially creating the conditions for obtaining it: R (Gureckis) v SSHD  2 CMLR 26. 3.5. The position of Irish nationals is unclear. Irish nationals are covered by a separate agreement set out in the joint report of 8 December 2017, which guarantees mutual full protection of citizens’ rights between UK and Ireland. The special status of Irish nationals is not reflected in Appendix EU. 3.6. Appendix EU provides rights of residence for a number of ‘close’ family members who join the EU national who holds leave under Appendix EU after the specified date. However, there are a number of dependants (e.g. married or unmarried partners whose family relationship did not pre-date the specified date) who would be covered neither by Appendix EU nor by another immigration route. For example, where the EU national holds pre-settled status their partners would not be covered by Appendix FM as it requires the main sponsor to be settled in the UK. Additional provisions will need to be made to allow ‘close’ family members to join the EU national in the UK. 4.1. 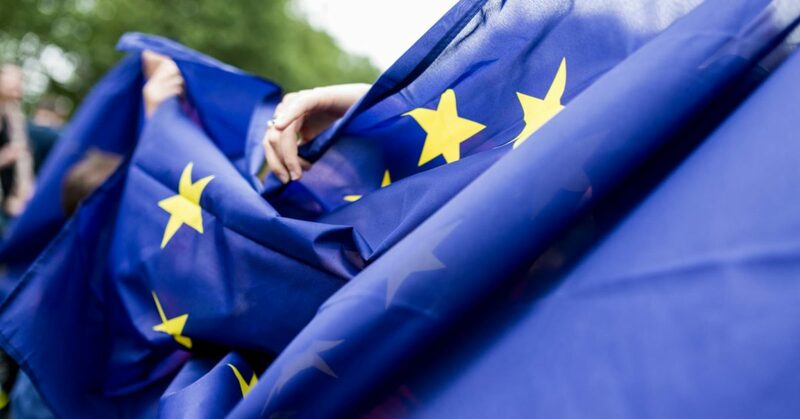 ILPA welcomes the decision not to require EU nationals to have exercised their Treaty Rights under the Citizens Directive 2004/38 to be eligible for leave under Appendix EU. We consider that this is in keeping with the SOI and with the purpose and aims of Appendix EU. However, while the requirement to merely reside (for pre-settled status) or to have continuously resided (for settled status) is simpler and less ambiguous than the question whether an applicant has (continuously) exercised a Treaty Right, there a number of areas relating to this requirement that remain unclear. 4.2. To be considered a “relevant EU citizen” under Appendix EU, an EU citizen is required to have been resident in the UK for a continuous qualifying period which began before the specified date. We understand that an EU national can arrive one minute before the deadline and still fall within the scope of Appendix EU. Likewise, those who enter the UK before the cut-off date and meet the residence requirement (and are able to document this) but who are not present on 31 December 2020 will qualify for limited leave to remain under Appendix EU. For example, an EU national who enters the UK for one day only in September 2020 and re-enters the UK in late January 2021 will be eligible for pre-settled status. We would be grateful for your confirmation of our understanding. 4.3. Under Appendix EU, continuity of residence requires absences from the UK of 6 months or fewer in any 12-month period unless the absence was for an important reason. 4.4. Caseworkers currently have no discretion to disregard absences in cases where, for example, an applicant was absent from the UK for six months and one day in one of the qualifying years. It is of note in this context that Directive 2004/38 allows for a more flexible approach. Rather than providing that absences of more than six months break continuity of residence, it states that continuity of residence is not affected by “absences not exceeding a total of six months a year”. ILPA recommends that caseworkers are afforded some discretion when assessing whether an applicant’s continuity of residence is broken or not. 4.5. Neither the Rules nor any guidance documents state how absences from the UK are calculated, e.g. on the basis of calendar years from 1 January – 31 December, counting back from the date of application, or on a rolling basis. It is important that applicants are informed of the way absences are calculated. This is particularly important if applicants who inadvertently provide wrong information are at risk of a refusal on suitability grounds under EU16(a). 4.6. Given that EU nationals may be eligible for settled status based on ahistoric period of residence, we recommend that applicants are given the opportunity to specify the residence period they rely upon. This would reflect the current system for applications for permanent residence documents. The calculation of absences should be in accordance with the qualifying years e.g. if the residence period relied upon was 13 October 2012 to 12 October 2017 each qualifying year within this period should run from 13 October to 12 October of the following year. 4.7. Currently,Appendix EU provides that an administrative removal or deportation decision will act as a “supervening event” which will prevent an EU national being a “relevant EU citizen” for the purposes of qualifying for leave. We urge that such decisions should not in and of themselves act as a bar to leave, not least because of the high success rate in Tribunal appeals against these decisions. We recommend that the definition of “supervening event” (i) should be restricted to those expulsion/exclusion decisions which have been upheld in an appeal which has been finally determined and/or where appeal rights have not been exercised, and (ii) should not include decisions which have been subsequently withdrawn or revoked. 4.8. It is anticipated that there may be some EU nationals and qualifying family members who will be granted limited leave to remain under Appendix EU but will later break their continuity of leave due to prolonged absences from the UK. Their limited leave to remain would be liable for curtailment (under Rule 323(ii)) as they would no longer meet the requirements of EU14. Furthermore, their leave would “expire” at the end of their five-year grant of leave without them being eligible for ILR. 4.9. If this is how the operation of the EU Settlement Scheme is envisaged, it would be crucial to warn those granted limited leave to remain of the need to maintain continuity of residence. 4.10. Currently, the Home Office website states “you should be able to spend up to two years in a row outside the UK without losing your pre-settled status”. We understand that this statement reflects the general provisions that non-lapsing leave automatically lapses where the holder is outside the UK for a continuous period of more than two years. Non-lawyers, however, are likely to understand this statement as meaning that those holding limited leave to remain in the UK are able to spend up to two years outside the UK without jeopardising their immigration status. We recommend urgent clarification of the guidance wording on the gov.uk website to reflect the requirement to maintain continuity of residence for those with limited leave to remain. 5.1. We note in the SOC HC1534 that there will be no right to Administrative Review where an applicant is refused on grounds of suitability (Appendix AR(EU)1.2). We are concerned that, as currently worded, this creates a significant risk that applicants will be refused on suitability grounds as the result of an innocent mistake, without redress other than judicial review. This is not in keeping with the supportive and constructive tone of the SOI. We recommend that the right to administrative review and appeal be implemented for refusals on suitability grounds. 5.2. We are concerned that paragraphs EU15 and EU16 are contrary to the prohibition on additional limitations/conditions in Article 12(4) of the Withdrawal Agreement. Furthermore, they do not reflect any similar threshold in EU law. Without prejudice to the comments below, we recommend that EU15 and EU16 are removed in their entirety. 5.3. The government repeatedly confirmed that only serious and persistent criminals will be targeted by EU15 and that there will be strict compliance with the Withdrawal Agreement, save to the extent that Appendix EU may offer more favourable provisions to EU citizens in the UK. 5.4. EU law deems exclusion of an individual appropriate only where s/he poses a current threat to public policy, public security or public health. EU15(a) and (b) Appendix EU are drafted in such a way as to exclude all those subject to an extant removal/exclusion decision, regardless of whether or not they pose a current threat to public policy, public security or public health. To achieve consistency with EU law EU15(a) and (b) require qualification. 5.5. The mandatory ground of refusal at EU15(c) of Appendix EU pertaining to an applicant being subject to a removal decision on the grounds of their non-exercise of rights is inconsistent with the policy position as set out above. It is further at odds with the government’s concession to disapply the requirement to exercise Treaty Rights under the Citizens Directive 2004/38. If an EU citizen is eligible for leave under Appendix EU, the non-exercise of Treaty Rights cannot then be a ground for mandatory refusal of an application under the scheme. We recommend the removal of paragraph EU15(c). 5.6. Proportionality is a general principle of EU law and extends to all removal and deportation decision. ILPA welcomes the inclusion of a reference to the requirement for a removal decision to be proportionate at EU16. We recommend that the requirement for proportionality be added to paragraph EU15 and incorporated into the eligibility requirements within Appendix EU. 5.7. We are concerned that the current wording of EU16 is subjective and does not reflect established domestic case law (AA (Nigeria)  EWCA Civ 773) which requires dishonest intent on the part of the applicant. 5.8. The suitability grounds, especially at EU16(a), are likely to adversely affect vulnerable individuals such as victims of trafficking or domestic violence. This would have an indirectly discriminatory effect on women. It is imperative that guidance is issued to properly direct the use of this discretion so that vulnerable people are not unfairly refused on the basis of EU16. 5.9. We are concerned that EU16 as currently worded is vulnerable to poor quality refusals where caseworkers fail to understand an individual’s tax affairs (as has recently been the case in a number of refusals under Rule 322 subsequently overturned on appeal), employment status or absences from the UK. 5.10. Under existing EU law and the Withdrawal Agreement, there is no basis for refusing an application on ‘suitability’ grounds. Abuse of rights in EU law is a high threshold, which cannot be reduced to mere mistake or even to deliberate dishonesty, and we are concerned that EU16 appears to be intended to conflate the two and to dilute applicable EU law. 6.1. EU10 requires that applications that do not satisfy the requirements of EU9 are to be rejected as invalid. This is odds with the government’s stated intention to apply evidential flexibility “enabling caseworkers to exercise discretion in favour of the applicant where appropriate, to minimise administrative burdens” (1.15 and 5.15 SOI). We recommend that EU10 is redrafted as to make the requirement discretionary eg by using the word “may” instead of “will” and to include reference to the requirement for proportionality in decision-making. 6.2. ILPA believes that there should be a fee exemption for those who areunable to pay for the application fee and, where providing biometric data is required, the biometric fee. 6.3. Where an application is refused on the basis of EU9/10, we recommendthat the decision should attract a right of appeal. Otherwise, it would have the effect that EU nationals would be treated less favourably than TCN nationals applying under different immigration categories. 7.1. The list of documentary evidence of continuous residence in the UK included at Annex A SOI is unclear, resulting in uncertainty for applicants in relation to how much evidence they will need to provide to guarantee success. EU law does not provide any basis for specifying evidence in this way. The SOI states that “in many cases it should be possible to confirm five years’ residence with five documents or fewer”. However, the strictest reading of the wording included in the tables on preferred and alternative evidence appears to require applicants to submit a piece of evidence for every month. This is at odds with the promised light-touch approach relating to evidence and appears to be an additional limitation on leave contrary to Article 12(4) of the Withdrawal Agreement. 7.2. The onus should be placed on the Home Office to check its own records or those of other government departments (e.g. local authorities or DoH). 7.3. We welcome that the government has promised to apply discretion and evidential flexibility to applications made under the EU Settlement Scheme and recognise that the wording “where the decision-maker is satisfied” has been included in Appendix EU to this effect. However, this wording is insufficiently clear. We recommend including a standalone provision on evidential flexibility into Appendix EU. 8.1. Annex 2 provides for an interview to take place as part of the application procedure, but does not specify when an interview should be conducted. We recommend amending Annex 2.2.1 to insert a requirement that a decision-maker should invite an applicant to an interview to respond to Home Office concerns before refusing an application. 8.2. We are concerned that the power under A2.2(3) to draw factual inferences from an applicant’s failure to provide evidence or attend an interview is likely to operate unfairly against victims of domestic violence and trafficking unless adequate safeguards are put in place. 8.3. The Withdrawal Agreement requires that provisions are made for an applicant to be issued with a Certificate of Application to confirm that they have made an application. These certificates of applications are vital to enable applicants, especially TCNs, to prove their right to reside, work, rent etc in the UK. It is our experience that Certificates of Application are issued with significant delays to those who are currently applying for documents confirming their rights under Directive 2004/38. Against the backdrop of the government’s hostile environment policies, it is important that Certificates of Application are issued without undue delay to adequately safeguard the applicant’s rights. We are also concerned that related legislation will need to be amended to reflect the right of relevant EU citizens to continue to exercise their rights in the UK whilst an application is pending (i.e. to ensure that such individuals do not fall foul of the ‘hostile environment’ whilst regularising their status). 9.1. One of the requirements for naturalisation as a British citizen is to have “not at any time in the period of twelve months so ending [been] subject under the immigration laws to any restriction on the period for which he might remain in the United Kingdom” (British Nationality Act 1981 Schedule 1.1(2)(c)). Documents certifying an EU national or his/her family member’s permanent residence in the UK indicate the date on which they are deemed to have acquired permanent residence. Therefore if the applicant has acquired permanent residence at least 12 months prior to being granted the document they are immediately eligible to apply to naturalise. Furthermore, ILR granted under Appendix EU Immigration Rules will only be effective from the date of grant. As such, individuals will need to remain in the UK for at least a 12-month period from that date until they become eligible to naturalise (even if they acquired permanent residence at least 12 months ago). It is unclear if applicants with settled status will be able to submit evidence of their prior acquisition of permanent residence which would allow them to naturalise immediately. We recommend that the situation is clarified so as to allow eligible applicants with prior acquisition of permanent residence to apply for citizenship immediately. 9.2. Furthermore, it is currently unclear whether time spent in the UK prior to the grant of settled status will be treated as “not in breach of immigration laws” (Schedule 1.1(2)(d) and 3(d) of The British Nationality Act 1981) where an applicant has not or cannot show that s/he has resided in the UK in accordance with Directive 2004/38 throughout the qualifying period for naturalisation. We recommend that changes are made to the Nationality Instructions to reflect what we understand to be the Home Office’s intention as set out at paragraphs 7.7 of the SOI, namely that those who hold settled status are deemed to have resided in the UK for at least five years not in breach of immigration rules at the date of grant. This position should also be reflected in the Nationality Instructions relating to the good character requirement. 9.3. Pursuant to the ECJ decision in C-165/16 Lounes v UK, dual EU/British nationals who naturalised as British citizens continue to be able to sponsor family members on the basis of more favourable EU law provisions. However, it is currently not possible for individuals to both be a British citizen and hold ILR under Appendix EU. Provisions will need to be made so that dual EU/British nationals continue to have the ability to sponsor eligible family members once they have naturalised under Appendix EU. 10.1. Applications under Appendix EU can only be made from within the UK (EU9(a)). We are concerned that there appears to be no good reason for this requirement. There are likely to be many eligible EU citizens who (for a variety of reasons) may not be able to make an application from within the UK. As such the requirement for an in-country application seems overly restrictive. In addition, some ‘close’ family members who enter after the end of the transition period will qualify for Appendix EU leave (e.g. parents, children, spouses/partners where relationship existed before the specified date). There is currently no provision for those individuals to enter the UK on the basis of the EU Settlement Scheme. This will be particularly problematic once the EEA Regulations are repealed and there will no longer be EEA Family Permits to allow eligible family members to enter. We recommend that Appendix EU is amended so as to permit such family members to enter the UK and to allow applications to be made from outside the UK. 10.2. This issue will also be relevant where Appendix EU offers more favourable provisions. There will be cases where applicants meet the requirements under Appendix EU but who do not hold rights on the basis of Directive 2004/38, for example because the EU national does not exercise Treaty Rights or a parent does not meet the requirements for dependency. It would be wholly unfair if those abroad were prevented from applying for Appendix EU leave merely because they have not yet entered the UK. Furthermore, this would incentivise applicants to enter the UK through other immigration routes e.g. as visitors to enable them to apply for Appendix EU leave. We urge that provisions are made that allow eligible individuals to apply for leave from outside the UK. 11.1. ILPA welcomes the indication that Appendix EU will be subject to a pilot scheme testing applications from vulnerable groups, and the Government’s commitment to funding of £9 million to help vulnerable groups make applications under the scheme. However, we are concerned that the current pilot is so restrictive as to not allow for representative results, and that problems have already been identified with its implementation. For example, at present we understand that social workers are expected to support applications by looked after children. However, this is likely to be contrary to their own guidance and risks them providing ‘immigration advice’. 11.2. We are concerned that an overly restrictive approach has been taken to defining vulnerable groups which excludes obvious candidates such as family members, victims of trafficking, and those who are unable to pay the £65 application fee. Furthermore, we are concerned about the support available to those with mental illness or who lack mental capacity to assert their own rights. We note that an application scheme which does not have regard to the public sector equality duty in s149 Equality Act 2010 in relation to groups with protected characteristics is likely to be unlawful. 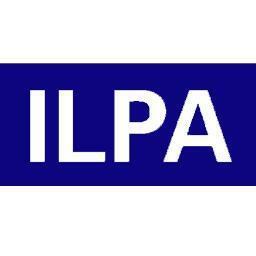 ILPA is the Immigration Law Practitioners Association, a membership organisation established in 1984 by a group of leading immigration law practitioners to promote and improve the advising and representation of immigrants, provide information to members and others on domestic and European immigration, asylum and nationality law and secure a non-racist, non-sexist, just and equitable system of immigration refugee and nationality law practice.